located a few miles west of the south end of the Las Vegas Strip. Spanish Trails is a guard gated community. security and privacy are just a few highlights at this location. Property prices range from mid $200,000 for town home units and $300,000 to over $1,000,000 for residential homes. Spanish Trails offers a wide range of activity including a golf course. ROCKIN THE HOUSE realty for a private viewing. Amazing Metropolis high rise condominiums located off the Las Vegas Strip. Offering full Las Vegas city views and Wynn casino golf coarse views below. Metropolis condos are very unique with there open high loft style living and modern retro style art deco design for the curb appeal of building. High windows and open great room affects will be seen at this amazing condominium. 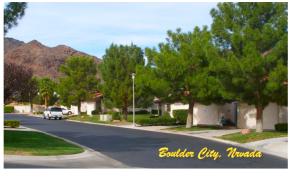 Located in the heart of north west Las Vegas is Tournament Hills, nestled off Rampart Dr. deep in Summerlin. High end Luxury Real Estate being defined by Tournament Hills Summerlin. Tournament Hills Guard gated community surrounded by only the best golf courses Summerlin has to offer, tpc.. Located in the link below are 8 top listings for the Tournament Hills Summerlin location. Fine luxury homes offering some of the best experiences in there craftsmanship. Contact Jonathan Abbinante Broker Owner of ROCKIN THE HOUSE for a one on one consolation and review of luxury homes for sale in Tournament Hills Las Vegas Nevada.